I bought this after catching the title on Twitter, thinking it was about the night sky which my son is really into at the moment. 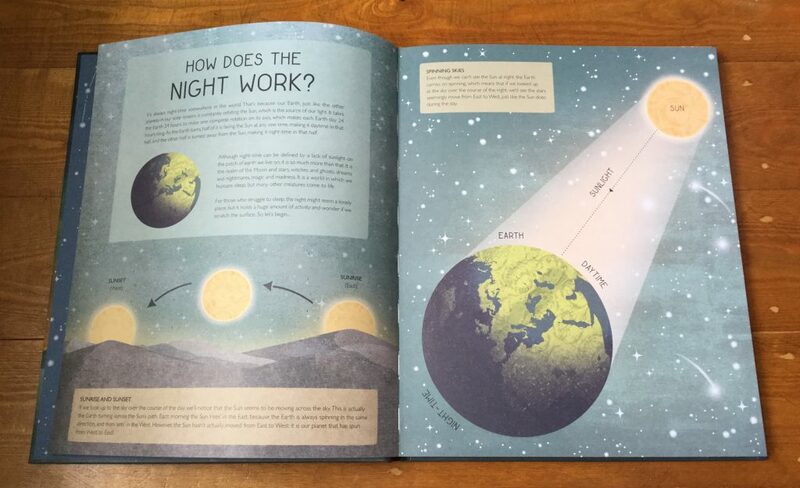 However, I was pleasantly surprised when it arrived to find out that it’s so much more than that – it’s effectively a celebration of night time, which makes for a really interesting read. There’s lots to like about this coffee-table-sized, well-researched book. It’s jam packed with information that’s presented in varied and interesting ways throughout. 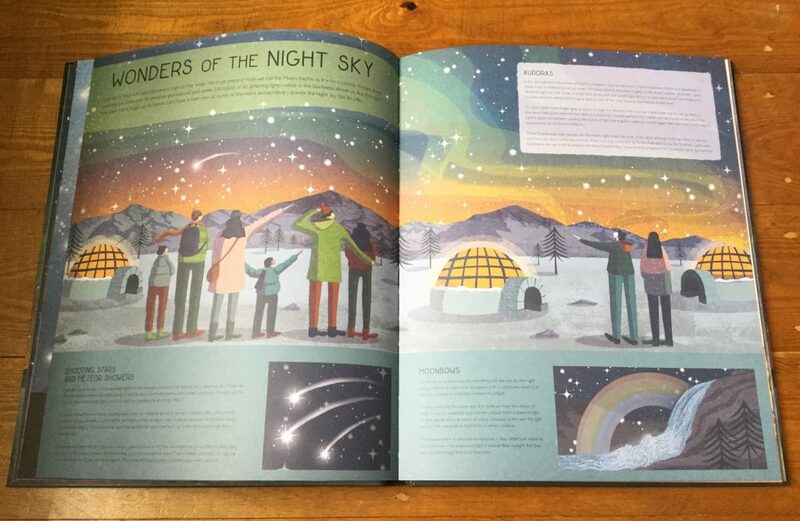 As well as finding out more about the history and formation of the night skies (I am now desperate to see a moonbow! 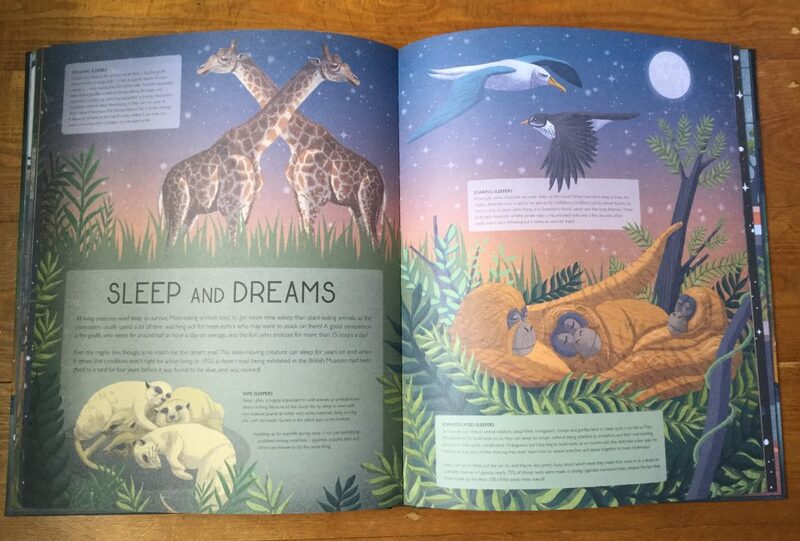 ), readers can also learn about various habitats at night, and the animals – including the nocturnal ones – that live in them (did you know that the albatross can sleep while flying?). 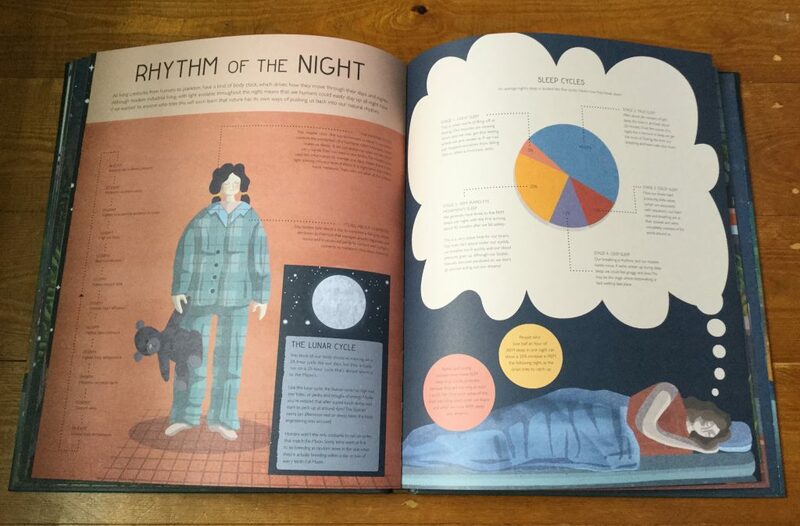 We particularly enjoyed reading about sleep: its history, circadian rhythms, dreams and how people sleep around the world, which we haven’t really explored before. 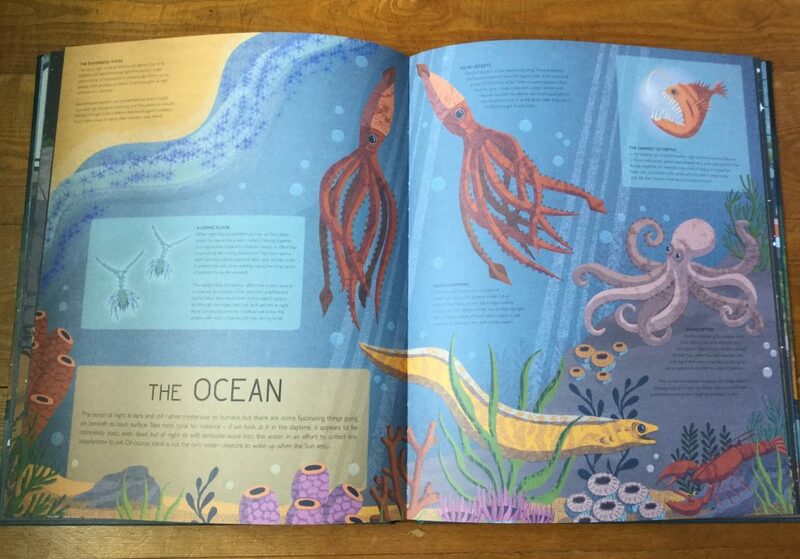 The illustrations are striking: while a relatively-muted palette has been used due to the theme of the book, they are colourful, eye-catching and absorbing. 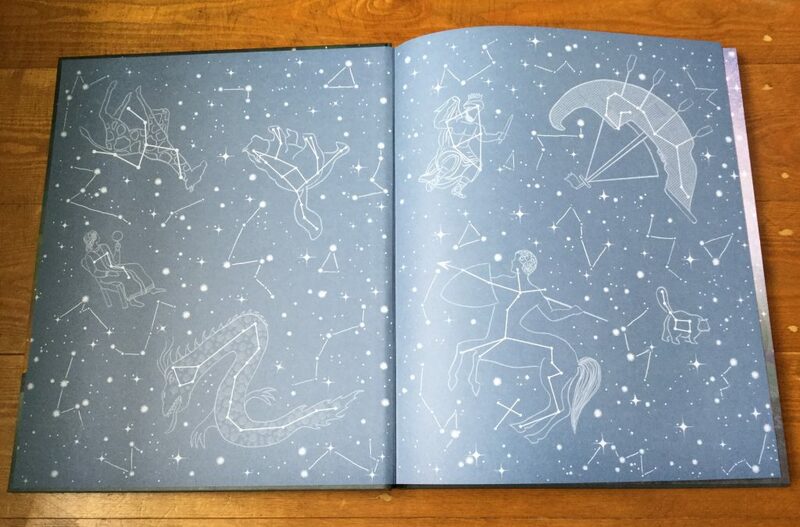 I also particularly love the end-papers, which depict the various constellations. Another lovely feature is the quality of the book – the pages are so thick that at first, I kept thinking that I had turned over 2 pages at once. 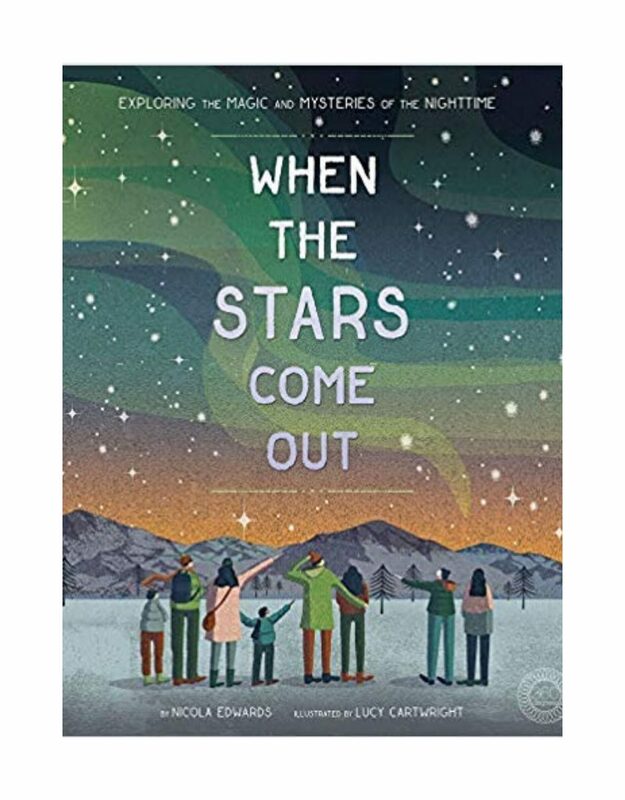 When the Stars Come Out is great for sharing, dipping in and out of, or sitting down and reading from cover to cover. 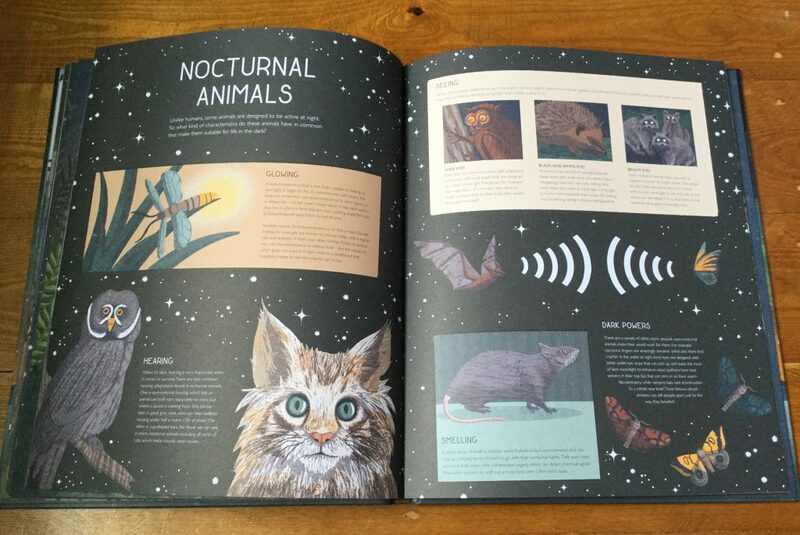 It would also act as super reference/resource material for school projects, and would make a fab gift for those interested in all things night. I think it’s an engaging and informative addition to our reading corner.